“I really like iTunes and how it keeps my iPhone and PC in sync. But my iTunes not recognizing iPhone recently, how do I save my notes from my iPhone to my computer in this case. Please help." The stock iOS Notes app is of great use among iPhone or iPad users. They use it to write down brilliant ideas, keep record of various passwords, save shopping list or a schedule and take notes of other stuff anywhere and anytime. It also has a humanized function that allows you to lock notes on iPhone to protect personal musings. Since these notes are relevant to our daily life, they are very important to the ones who use the app frequently. Then how to keep your important and private notes safe should be taken into consideration. In order to avoid losing the notes because of unexpected reasons, it’s necessary and urgent to back them up. This post is covering three ways to back up notes on iPhone. Follow below simple steps to sync iPhone notes with Gmail account. Now enter your name and the credentials for your Gmail account. Once it is done, ensure that on the next screen, the Notes option is turned on. If you don't have a Gmail account, add one. if your iPhone notes not syncing with Gmail? Don't be nervous, move on to next step. Follow the below easy guide to backup your iPhone notes to iCloud. Go to Settings – iCloud –Turn on Backup. Enable iCloud Backup and tap Back Up Now. iCloud will automatically create backup for iPhone data including your notes as long as Notes option is enabled. Open Settings and go to iCloud, then turn on the Notes option if it is disabled. After that, you can recover iPhone notes from iCloud. Recover deleted notes on iPad is also available with FoneLab if you have lost iPad notes. 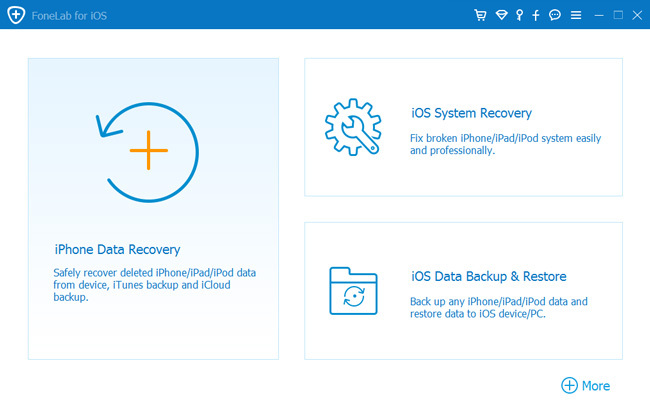 I highly recommend to use FoneLab iOS Data Backup & Restore which enables you to selectively and flexibly backup and recover iPhone data. In addition, you can backup safari bookmark on iPhone with FoneLab easily and effectively. how to backup iPhone notes to PC and recover notes on iPhone from backup using this tool? Keep reading, then you will get the answer soon. This software fully supports iOS 11 and iTunes 12.7. With this software, you can also backup iPhone contacts, photos, messages, etc. If you have any questions about it, please do not hesitate to contact us by dropping a comment. We will give you a prompt reply as soon as we can.